The riverfront walking trail lines the north and south shores of the Clark Fork River in Downtown Missoula. 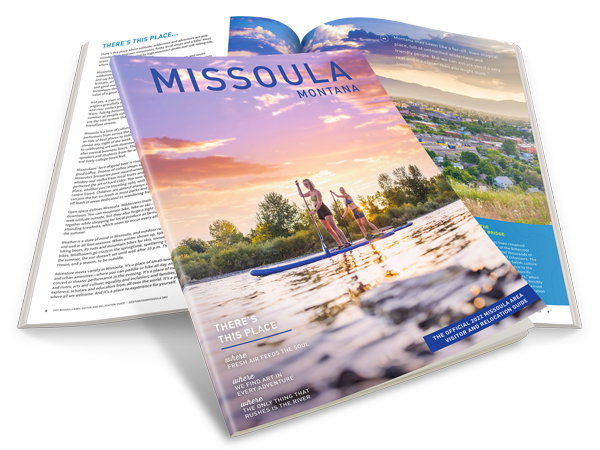 A walk along the trail can take you past McCormick Park, the Old Milwaukee Depot, John H. Toole Park, Caras Park and other scenic treasures in Missoula. Be sure to stop by the overlook at Brennan’s Wave to watch kayakers and surfers take on the man-made kayaking wave. For a walking tour, check out the maps and stops Missoula Parks and Recreation has put together here.